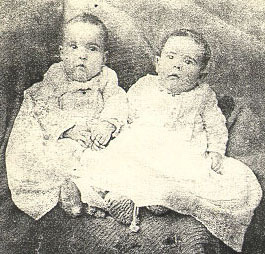 Lulu and Lillie Bainbridge, born August 23, 1892. 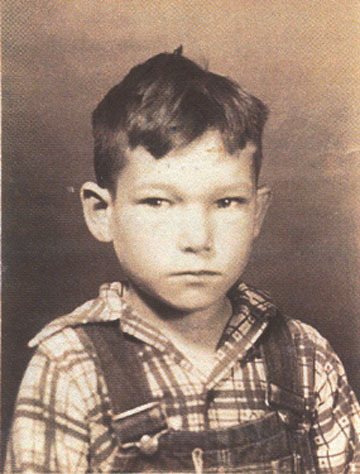 James (Frank) R. Bainbridge, born September 19, 1896. 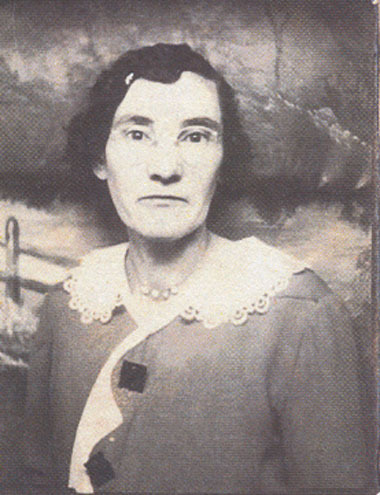 Suzanna Bainbridge, April 2, 1938. 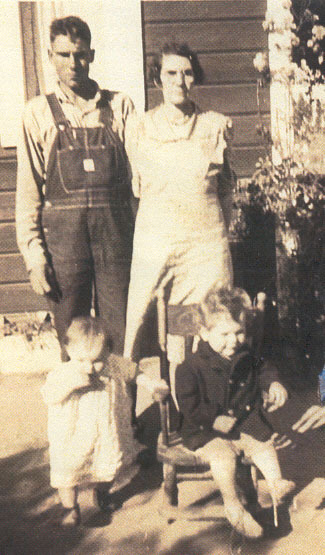 Suzanna Bainbridge with her son Earl Monroe and grandchildren, Donna and Ronald, July 17, 1939. 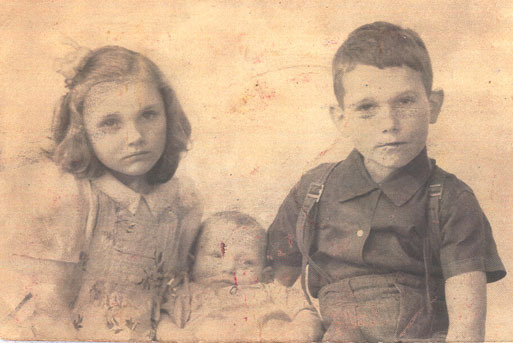 Donna, Larry and Ronald Monroe, 1945.